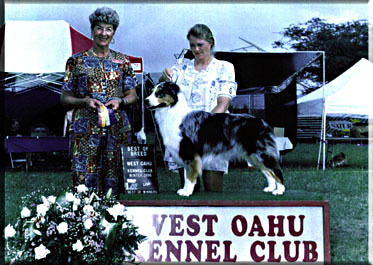 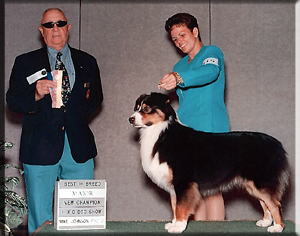 On Sunday April 15, 2001 Windward Hawaiian Dog Fanciers Association held their 75th All Breed Dog Show. 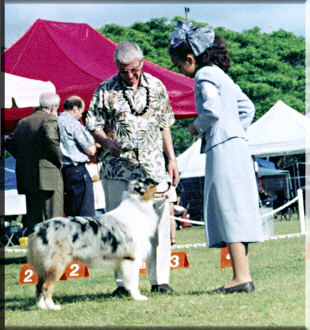 At this show they had a breeder competiton. 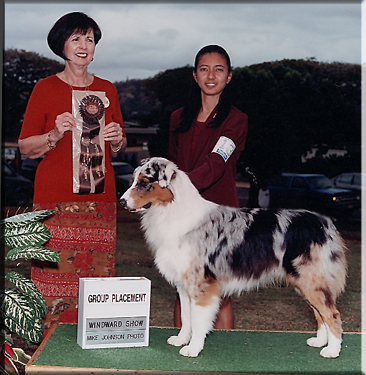 "Chumpe" and I took a Group Two.